The deluge of a summer storm on the prairies offers a stark contrast in light and dark. How exposed those farm buildings look. 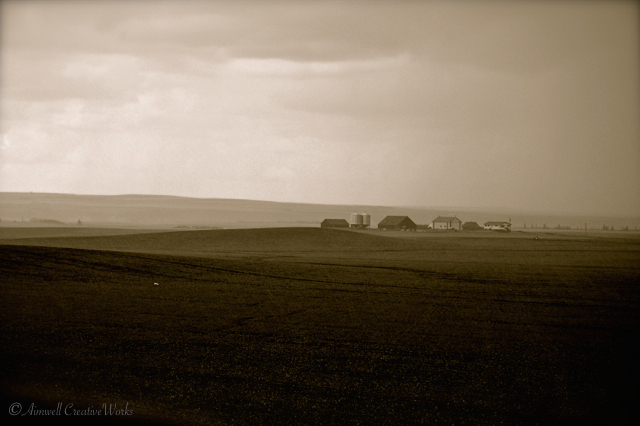 This entry was posted in Photography, weather, Weekly Photo Challenge and tagged Aimwell CreativeWorks, Alberta, black and white, Dorothy Chiotti, farm, monochrome, Photography, postaday, prairie, storm, Weather, Weekly Photo Challenge. Bookmark the permalink. This is half a dream :)… beautiful!